The Pioneer Woman Museum in Ponca City was the scene last Saturday of our third and final series of presentations on Oklahoma women. During this spring series, the Museum graciously hosted three presentations by Heartland Fountain, LLC and special guest speakers. 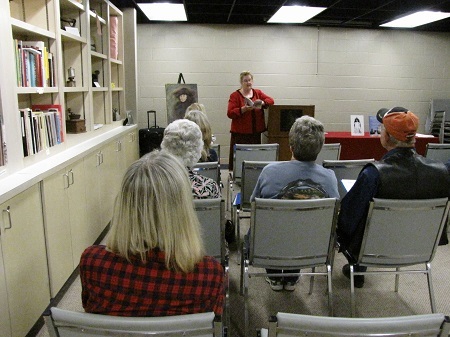 Saturday’s program, Lessons from the Heartland: Spotlight on Women, featured noted genealogist and author, Cheryl Capps Roach, and Heartland Fountain LLC’s chair and author, Donna Le. The audience of fifteen represented several different states. 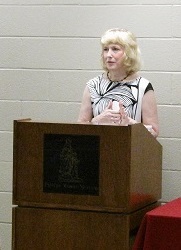 Cheryl spoke about her family history, particularly her grandparents (Glen and Bertha Beatty) who moved from Pennsylvania to Oklahoma during the oil boom. In 1929, Cheryl’s grandfather died working in a Drumright oil field the week before the stock market crashed. After the crash, Bertha learned the crash had wiped out all of the money they deposited in the bank. Cheryl wisely observed that we learn from those who don’t necessarily have charmed lives, but rather are survivors – like her grandmother. 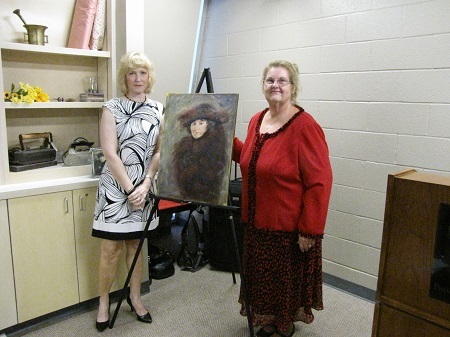 For most of us, it came as a wonderful surprise to learn just how talented Cheryl is artistically. While searching her family’s genealogy, she came across an old black and white photograph taken of her grandmother on her wedding day. Cheryl decided to do the above portrait from the photograph. We think you’ll agree it is stunning. Continuing the theme of wisdom learned from others, author Donna Le spoke about numerous Oklahoma women, reviewing their published non-fiction and fiction works. She encouraged attendees to daily strive to improve their lives, moving forward with endurance. Reading from Robert Fulgham‘s 1990 book, All I Really Need to Know I Learned in Kindergarten, Donna shared his list of some of the things he learned in the sandpile at Sunday School. 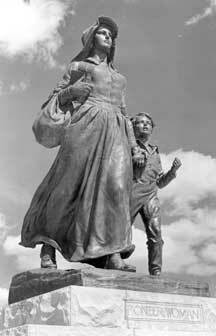 Donna reminded us of the statue erected in front of the Pioneer Woman Museum. Erected in 1930, it depicts a confident, dignified pioneer woman and her young son striding forward, into new and strange lands, ready to begin a new life. Hopefully, a better life. P.S. Throughout our spring series, J.W. 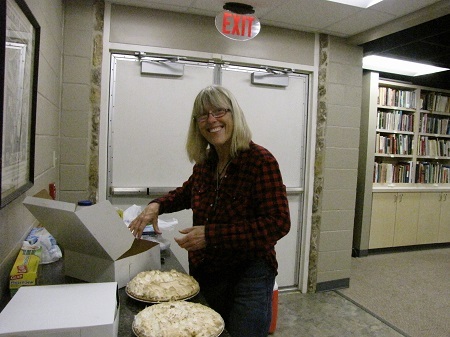 Cobbs Restaurant in Ponca City provided their famously-delicious pies. Thought you would appreciate the enjoyment we had from the pies as expressed by one of Oklahoma’s noted oil and gas landmen – Gloria Belair!